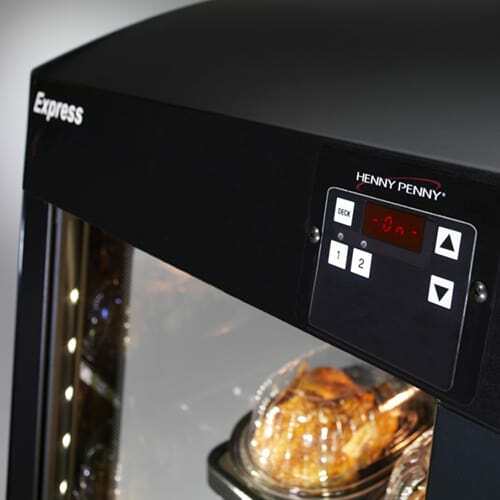 The Express Profit Centre from Henny Penny lets you display pre-packaged freshly cooked foods at safe temperatures for easy customer access anywhere in the store for up to four hours. Perfect for last-minute, grab-n-go meal decisions. The EPC 200 is a compact case that fits easily into checkout lanes and other key spots where bigger cases won’t work. 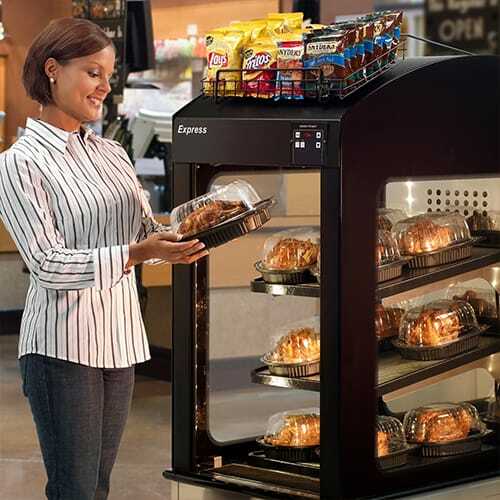 Innovative air curtain technology keeps the heat in while giving shoppers instant access. Clear side panels and bright, environmentally-friendly LED lighting offer high product visibility. 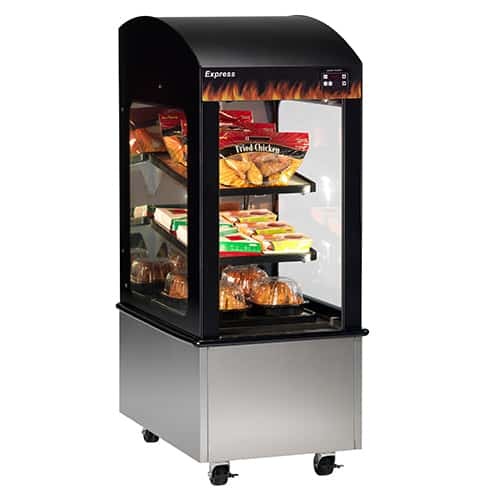 Sturdy locking casters and a 120 V plug-and-play option makes the Express Profit Centre extremely mobile. Choose from a range of widths, heights and shelf capacities for walls, end caps, or freestanding near checkout lanes or other high-traffic areas. Innovative air curtain technology secures climate for longer holding times, resulting in less product waste. 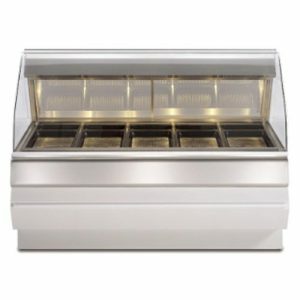 Individually heated shelves and deck keep pre-packaged product at consistent safe temperatures throughout the case. Low-energy, long-life LED lighting for bright, attractive product presentation and reduced environmental impact. Clear side panels and angled shelves for enhanced product visibility. 2 lightweight adjustable angled shelves. Easily relocated throughout store for excellent merchandising capabilities. 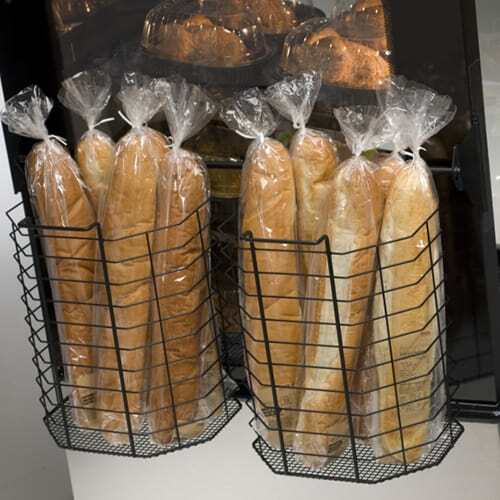 Optional side and top baskets create profitable cross-merchandising opportunities. Flush mounted control pad to set and display temperature for each shelf. Choice of levelling legs or sturdy casters for convenient mobility. Front and side protective bumpers. Stainless steel construction with black matte finish on main cabinet.